Still ironing out your travel plans? Summertime is the best time to take the kids to a lake, national park, campsite, or other beloved summer destination. And if you’re looking for ways to sneak a little education into their growing minds, this is the perfect time! Often, these fun sites will have little history lessons and state trivia all around. You just gotta poke around! Pique their interest in experiential learning with some of these ideas! Because, if you were to ask your kids how much they knew about the state you live in, what would they say? Some might only be able to tell you their favorite sports team. Others may have a bank of trivia knowledge you never knew about! But no matter where they fall on the spectrum, there’s always more to learn. Here are some great ideas to get you started on learning more about the place you call home! Check out your local library. 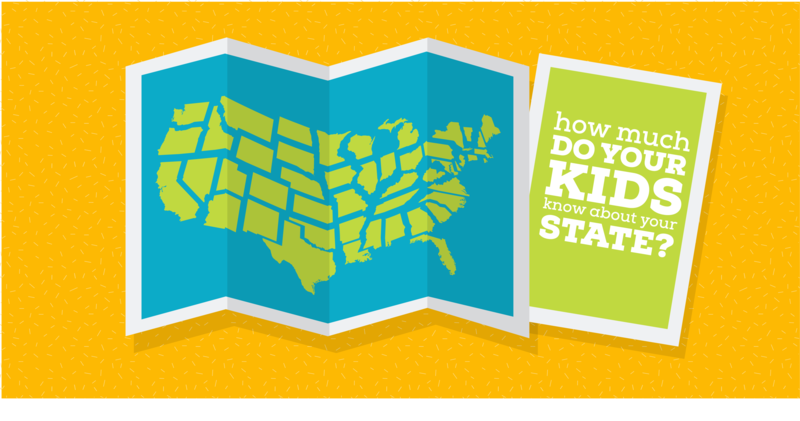 Have your kids search for the non-fiction section chock full of books on your state and local region. Bring them home and have them report their findings to the family! What does the internet have to say? For a great starting point, visit National Geographic’s hub for U.S. state information. Or, view the learning section of your state’s government website. There are also some pretty great free online learning games out there. Visit a museum! Did you know that there are more than 15,000 museums in the United States? Your state likely has more museums than you ever knew existed. Check them out! Go for a walk. Find a park or trail and pack a picnic! Along the way, you just might see signs explaining the history of the park. You can also have the kids take notice of the different foliage, birds, noises, etc. that you encounter! Wondering what kind of trees make up your local forest? Take a picture and look it up when you get home! Plan a visit to a national park. That should get you started! There is probably much about your state that not even you know about, even if you’ve lived there your whole life! From super old houses you can tour, to delicious restaurants featured on the Food Network, we hope you have a blast doing some discovering!